• JVC's ACTIVE JACKET provides ease of handling while protecting your camcorder from dust and scratches! • This 'jacket' can be used with the BN-V615U (VU-V615kITU) high capacity battery and holder. • Remember ! Extra batteries & tapes are always a good idea ! 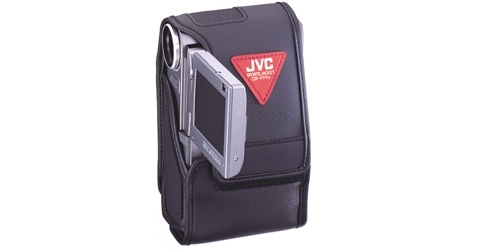 • Be ready to go with functional & attractive JVC camera bags & accessories!